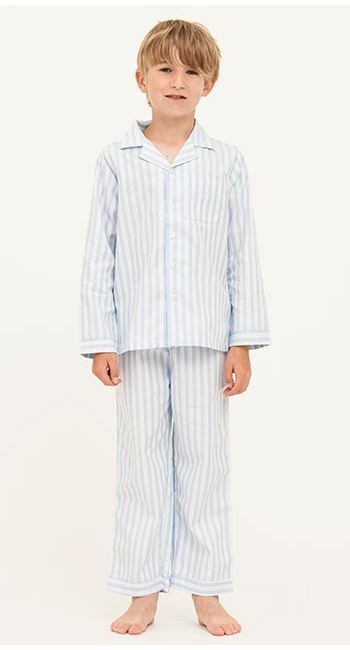 Boy's cotton pyjamas in a cosy red and blue check. 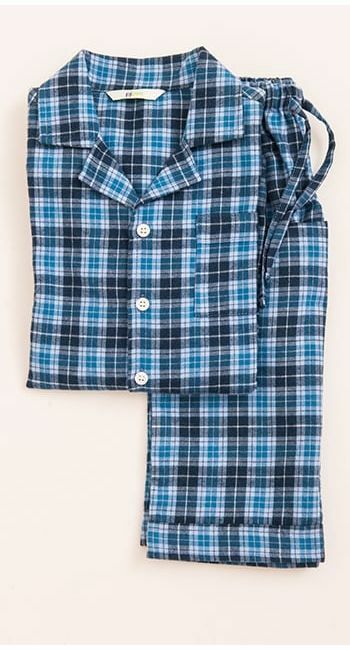 Traditional pyjama jacket with real shell buttons. Straight leg trousers with elasticated waist and functional drawstring. Trousers also sold separately for 7-14yr olds. If you're after some matching family pyjama fun, you'll find this fabric in the women's collection too.